ATHENS, Greece A top European Central Bank official headed to Athens on Wednesday to discuss progress on Greece's fiscal reforms, amid increasing talk the country will need yet more assistance once its bailout program ends next year. Joerg Asmussen, one of the ECB's six executive board members, was to meet with Prime Minister Antonis Samaras and Finance Minister Yannis Stournaras. He was also scheduled to hold talks on Thursday with Deputy Prime Minister and Foreign Minister Evangelos Venizelos. "We are expecting an interesting exchange of views both with the finance minister and with the prime minister," government spokesman Simos Kedikoglou told Greece's Mega television. The visit comes a day after Germany's finance minister said the country will need another rescue program, his clearest statement yet on the issue. He did not specify what form the new aid should take, but ruled out a write-down on Greece's public debt, which is now mainly bailout loans owed to other European governments. Opinions in Europe are divided, however. France's finance minister, Pierre Moscovici, said he saw no need for a new rescue program. "It seems to me that this program is on track, that Greece is making enormous efforts to right itself ... I myself don't see the urgent need for a new program for Greece," Moscovici told France Inter radio on Tuesday. International debt inspectors from the ECB, International Monetary Fund and European Commission, collectively known as the troika, are returning to Athens in September to review progress on reforms. Their findings will help clarify whether Greece will be able to support itself once the bailout program ends. "In that context we shall also assess a possible extension of the Greek program and its funding," Olli Rehn, the top monetary official at the European Commission, was quoted as saying by the Finnish daily Helsingin Sanomat. According to the paper, Rehn said in an email that one option would be to extend the maturity of Greece's loans. Greece first began receiving rescue loans from other countries in the euro currency union and from the IMF in May 2010, when the dire state of the country's public finances left it unable to borrow on the international bond market. To qualify for the loans, Greece pushed through repeated rounds of austerity measures, slashing state spending, cutting state sector salaries and pensions and increasing taxes across the board. The measures led to widespread and often violent protests, and have seen thousands of businesses shut down. Unemployment has reached 27 percent, a record, as the country struggles through a sixth year of recession. But the initial bailout program was plagued by delays and missed targets, and it soon became apparent that more was needed. Athens began receiving funds from a second bailout early last year, and also saw a debt reduction program under which private sector holders of Greek government bonds agreed to write off more than half the value of their bond holdings. 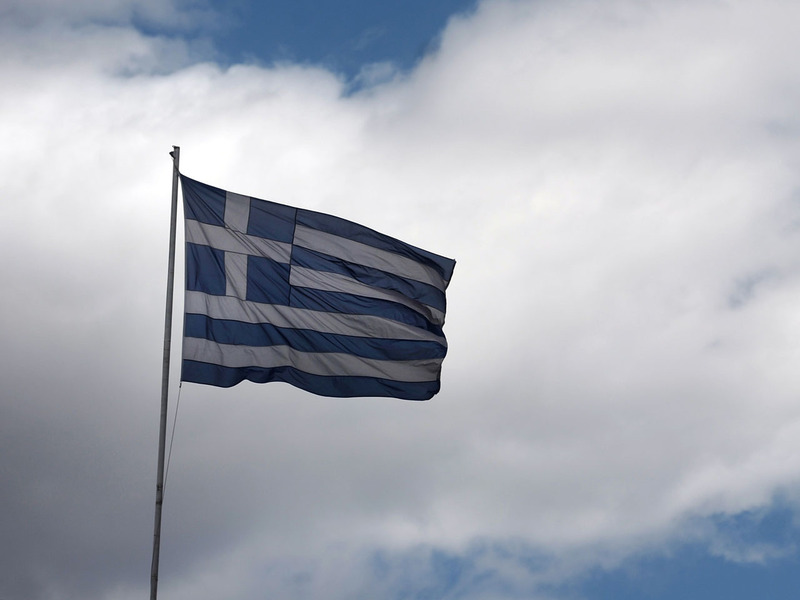 So far, Greece's creditors have committed 240 billion euros ($320 billion) in loans. The second bailout is due to end in mid-2014, although the IMF is scheduled to continue giving its loans until 2016. Greece's finances have improved somewhat of late, with the government posting a small primary surplus -- budget income before taking into account interest payments on outstanding debt -- for the first seven months of this year. The economy, however, is still in dire straits. It contracted by an annual rate of 4.6 percent in the second quarter this year.